Blogging can be very profitable if done right. the most important questions asked about blogging are how to start a blog and how to make money blogging. It can be frustrating when you are new into blogging especially if you lack internet marketing skills. The good news is that blogging is not rocket science and anyone can do it. We understand the difficulties new bloggers face and decide to address these challenges in this blog post by teaching you how to start a blog and make money blogging. You will learn all the important tips you need to know about profitable blogging in this post so stay with us here till the end of this post. It will be surprising for you to know that “How to start a blog” is one of the most asked and search question on from bloggers on Google. Of cause It is important to know how to start a blog before asking “How to make money Blogging”. There are several ways you can start a blog, one of the easiest is using blogger.com which is also free of charge and comes with great templates. Blogger.com is owned by Google which also comes with a lot of SEO benefits as you blog with Google’s own blogging platform. All you need to do is to use your Gmail and register at blogger.com and start blogging. The good thing is that blogging with blogger is very easy and you don’t need any experience to start blogging using blogger.com. watch the video below to see how to set up your blogger.com blog and start blogging right now. There are several other blogging platforms such as Tumbrl.com and WordPress.com. These blogging platforms are very effective when it comes to SEO and monetizing opportunities. WordPress is my favourite blogging platform as it has a lot to offer especially for professionals bloggers. WordPress gives you options to chose from paid versions with optimal functions including a domain name. However, You can also buy your domain and hosting plan and still install WordPress on your hosting server to start blogging. WordPress is simply a powerful blogging platform with endless opportunities and SEO functionalities to help boost your Blog search engine visibility and blog traffic. Blogging can really make you a lot of money if you are passionate about it and do it right. By doing it right here I mean several things such as choosing a niche you are passionate about, blogging frequently, optimizing your blog posts and keywords, writing on unique topics, monetizing with the right Ads units and Ad Network and using the right blogging platform etc. 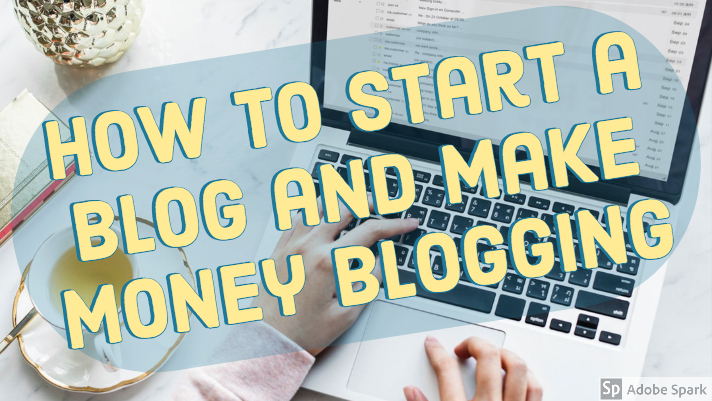 One important thing you need to know which no one will tell you is that you won’t start making money blogging from the beginning. The fact is, it takes time before you start having reasonable traffic and then start making money while blogging. You need to be calm, patience and work smart consistently. The good news is that, once you start making money with your Blog, It won’t stop and will continuously increase. There are several ways you can make money blogging. In the following video, we have over 33 ways you can make money blogging. Monetizing your blog through ads and affiliate marketing are the most popular ways to make money blogging, however, there are several other ways which are all listed in the above video and will be of great help for your blogging revenue. In the video below, we outline some of the most profitable blogging tips to help you boost your blogging revenue, these tips will easily make you a good living from blogging, you should take them seriously and implement as many as you can. You can also use wordpress.com to start blogging for free, however, WordPress has premium options that comes with great benefits and optimizing functionalities that makes your blogging experience more fascinating. All your blogging efforts rely on the amount of traffic you get especially organic traffic. The number of visitors you have will determine how much you will make. This means the primary goal of working smart here is all focus on your blog traffic. Because of the importance of traffic, we outline several tips below that will help boost your blog traffic. Get your SEO right: Make sure you first research and choose the right keywords for the topic you are writing for and optimize your blog posts for those keywords. Social media marketing: You have to make sure you share your blog post on social media. share in groups that are related to your niche and ask your readers to follow and subscribe to your blog. Post regularly: Another important thing about blogging is consistency, whether you like it or not, the key to maintaining your blog traffic is the regular blog posting. This makes your readers keep coming back and also attracting new readers. The use or graphics: Graphics are a very important part of blogging. Using media such as images, videos, and audio in your blog post keeps people coming back and also attract new visitors. Watch the video below for great 15 tips to increase your blog traffic. Basically, You have all you need to know about profitable blogging in this short blog post. Just to recap, you need to first choose a topic you are passionate about writing a blog. This way you will always find something to write about, you will not be lazy about writing your blog because you love doing it. Ones you are able to determine your blogging topic or niche, you will have to do some keywords research to select the fittest for your topic. When selecting your keywords in the beginning, do not select keywords that have high competition. This is because you won’t be able to rank high on those keywords. Select keywords that have either low or medium competition, this way you will be able to rank faster and increase your traffic. Before you create and post your blog, here are some few SEO tips you need to make sure are in check. Some you need before posting and some are after your blog posts. Make sure your main keyword is in the title, first line or first paragraph, in the subheading and meta description of your post. Make sure you have nice tittle length and is interesting. make sure you have at least one graphic (Image, video or audio) in your blog post. Check your spellings and grammar. Regularly submit your blog to search engines. Share on social media and forums. Internal linking is important and do not forget it. Add tags to your blog posts. These are simple stuff but yet very important for your blogging success. We make things simple by giving you the basics on how to start a blog and make money blogging. We are open and will be happy to hear from your blogging experience in the comment section so we can develop this post even more. Share your best blogging tips with us in the comment section. They who don’t know how to create a blog, this sharing guides them to start blogging. We need to follow such a post to develop our new blog.